As social media are evolving rapidly online support groups (OSG) are becoming increasingly important for patients. Therefore, the aim of our study was to compare the users of traditional face-to-face support groups and OSG. We performed a cross-sectional comparison study of all regional face-to-face support groups and the largest OSG in Germany. By applying validated instruments, the survey covered sociodemographic and disease-related information, decision-making habits, psychological aspects, and quality of life. We analyzed the complete data of 955 patients visiting face-to-face support groups and 686 patients using OSG. Patients using OSG were 6 years younger (65.3 vs. 71.5 years; p < 0.001), had higher education levels (47 vs. 21%; p < 0.001), and had higher income. Patients using OSG reported a higher share of metastatic disease (17 vs. 12%; p < 0.001). Patients using OSG reported greater distress. There were no significant differences in anxiety, depression, and global quality of life. In the face-to-face support groups, patient ratings were better for exchanging information, gaining recognition, and caring for others. Patients using OSG demanded a more active role in the treatment decision-making process (58 vs. 33%; p < 0.001) and changed their initial treatment decision more frequently (29 vs. 25%; p < 0.001). Both modalities of peer support received very positive ratings by their users and have significant impact on treatment decision-making. Older patients might benefit more from the continuous social support in face-to-face support groups. OSG offer low-threshold advice for acute problems to younger and better educated patients with high distress. 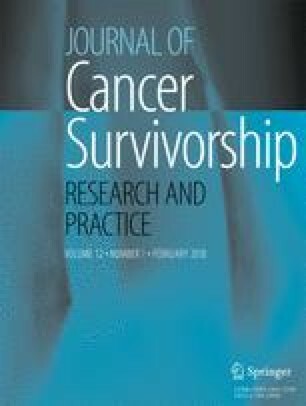 Prostate cancer patients visiting face-to-face and online peer support groups are very content with their modality and report significant impact on their treatment decision-making. Online users are younger, are better educated, have higher distress, and demand a more active role in treatment decisions. Face-to-face group users report more physical problems and benefit more from their visits. The online version of this article (doi: 10.1007/s11764-017-0633-0) contains supplementary material, which is available to authorized users. We thank the BPS and German Cancer Aid for endorsing our project. The Foundation of the Federal Bank of Baden-Wuerttemberg supported this study (grant 2012030055). Proof-Reading-Service.com Ltd. provided language assistance. The lead author affirms that the manuscript is an honest, accurate, and transparent account of the study being reported; that no important aspects of the study have been omitted; and that any discrepancies from the study as planned have been explained. This study is presented in part at the Annual Meeting of the German Association of Urology, Düsseldorf, Germany, October 1–4, 2014; International Psycho-Oncology Society Congress, Lisbon, Portugal, October 20–24, 2014; Annual Meeting of the European Association of Urology, Madrid, Spain, March 20–24, 2015; and Annual Meeting of the American Association of Urology, New Orleans, LA, USA, May 15–19, 2015. The study received financial support by the Foundation of the Federal Bank of Baden-Wuerttemberg (grant 2012030055). All authors have completed the ICMJE uniform disclosure form at www.icmje.org/coi_disclosure.pdf and declare no support from any organization for the submitted work, no financial relationships with any organizations that might have an interest in the submitted work in the previous 3 years, and no other relationships or activities that could appear to have influenced the submitted work. Dr. Huber reports personal fees from Janssen and grants and non-financial support from Takeda, outside the submitted work. Dr. Keck reports advisory works and financial support (congresses) from Astellas, Janssen, Novartis, Pfizer, General Electric, Bristol-Meyers Squibb, and Sanofi, outside the submitted work. Mr. Enders is a member of the Prostate Cancer Patient Support Organization of Germany (BPS). The Ethics Committee of the University of Dresden approved our study protocol (EK 75032013). All procedures performed were in accordance with the ethical standards of the institutional research committee and with the 1964 Helsinki declaration and its later amendments or comparable ethical standards.